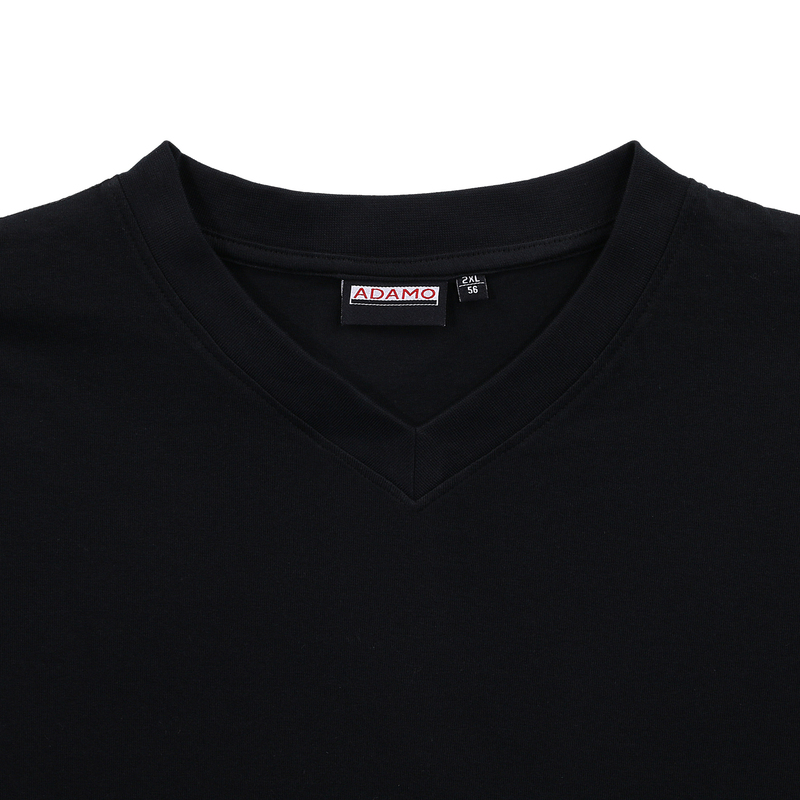 The MAVERICK v-shirt by ADAMO is made of 100% cotton and offers a comfortable fit and is easy to care. 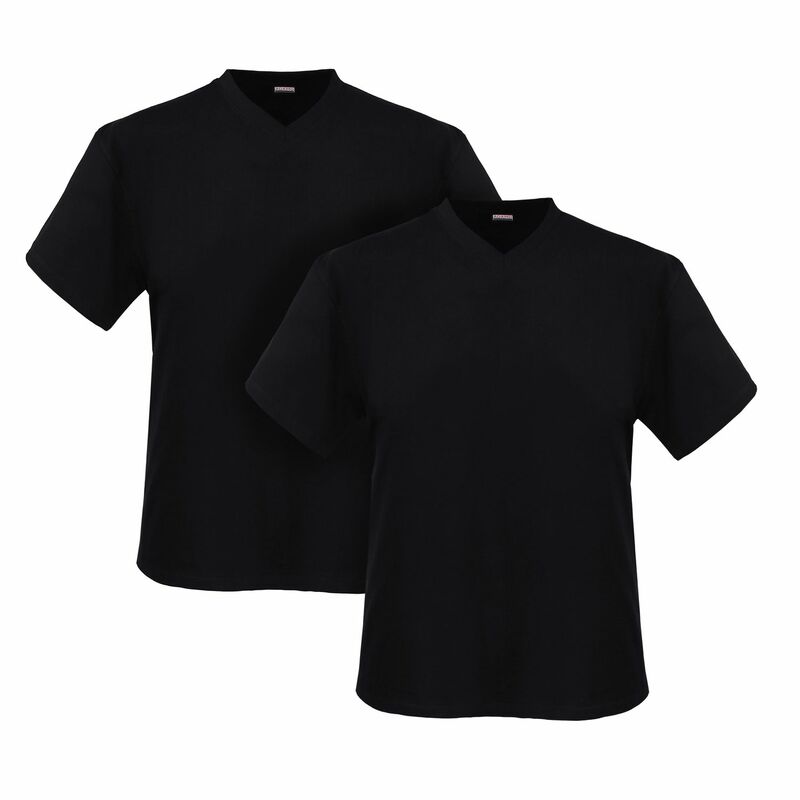 ADAMO offers this black shirt in a double pack up to plus size 10XL. 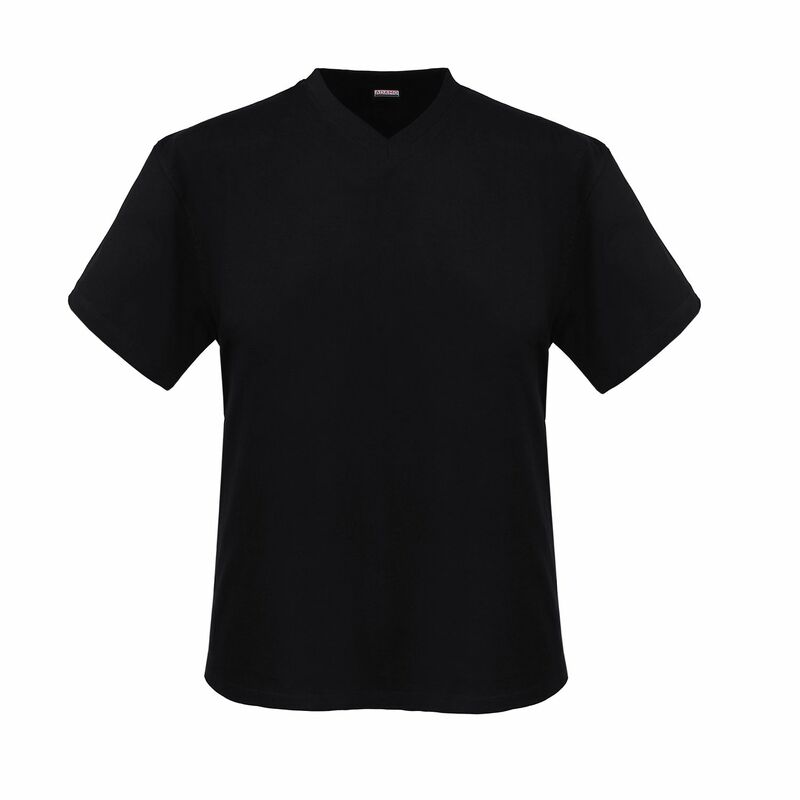 This shirt is produced according eco-tex standard 100. Long pleasure of wearing is therefore certainly.